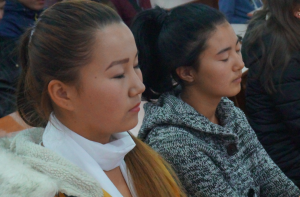 On October 13-15,2016 World Peace Initiative Foundation held meditation and mindfulness workshops in Bishkek, Kyrgyzstan for the second time. 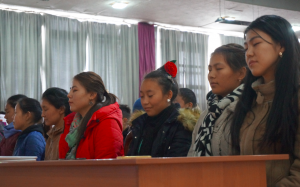 Six workshops and one half day course helped more than 400 people to practise meditation for stress reduction, happiness and improving efficiency in studies. 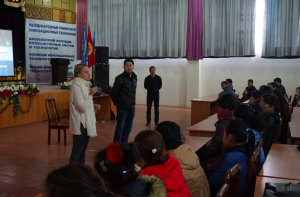 Peace Revolution project representative, meditation trainer Kateryna Kulyk came to Bishkek for three days during Peace Revolution Central Asia tour to conduct meditation workshops. Many participants came to the workshops, including students, people of different professions, age and religion. Meditation was practised as a universal way of finding peace and harmony inside oneself. Our workshops were hosted by yoga dom Atma and Kumtor Gold company, and our partner Fund of Progressive Initiatives helped organise workshops in different universities – Kyrgyz Technical University, Kyrgyz Economic University, International University of Innovation Technologies (КИТЭ МУИТ) and Kyrgyz National University. 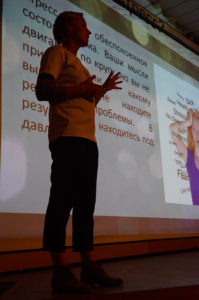 We are grateful for partnership and happy to plan more events in Kyrgyzstan in the future. And for now, we invite you to take part in Bridge Peace Fellowship that will happen in Georgia and will gather people from 15 countries together for meditation, networking and peace building (Kyrgyzstan is one of the countries that qualify to apply for the fellowship, so do not miss your chance please!). Peace in, Peace out!